If a permanent would be put into a graveyard, remove it from the game instead. 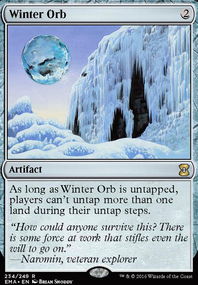 It isn't quite Modern, due to Breath of Life(7th Edition), Karoo(Visions/Commander 2014) and Longbow Archer(7th Edition). 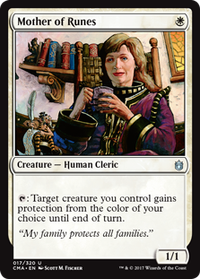 You probably want to adjust the format to Casual or change those three cards out for something that at least from 8th Edition forward on to make it modern legal and you're short one card, you have 59. Emeria, The Sky Ruin and Grand Abolisher would be a nice addition and maybe some Silences. Samurai of the Pale Curtain is my personal favorite samurai of the Kamigawa block. I registered an account just to thank you, Jopling, for all the work you put into this deck. 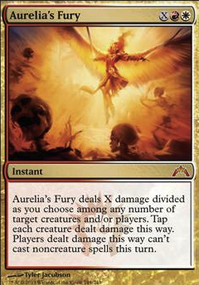 I got into this game very recently with the ulterior motive of trying to make friends at my FLGS where it seems Magic is played constantly. I'm not into high fantasy like merfolk and elves and such, but I'm a furry, and I'm really into foxes. When I learned that Magic has foxes in it, my attention piqued. When I learned that an experienced player (namely you) had already built a highly synergistic fox tribal deck which doesn't cost $1000, I decided to build that deck. Obviously, due to my newbishness and lack of any skill whatsoever, I haven't won with this deck as often as you have, but I've had tons of fun nonetheless. As it happens, the Magic community at the FLGS has been nothing but welcoming and amazing, and after playing for less than a month, I feel like I've broken into their social circle and become one of them. Thanks for the reply. I do think Wheel is good, and since I'm nowhere near a Power 9, it deserves a place almost definitely. For that reason, I'm a little bit inclined to make more use of the yard. However, Even though it is one-sided, I'm still reluctant to consider Leyline due to its cost. Maybe I'll try Samurai of the Pale Curtain to see how frequently it'll backfire. Concerning the manabase, if I may ask, how does the current land count, namely 30 with a tabernacle, work for you? I used to be at 29, with all the card filtering in the deck, and still missing early-game land drops sometimes, so it worries me a little more, for a deck less stax and more control. I went ahead and made the changes to the deck. I went ahead and kept Jenara instead of using the Eidolon. 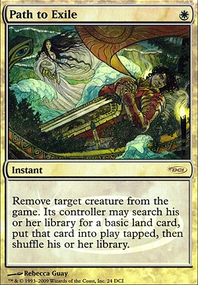 Since the bant good stuff is gone I think I will change out the liege cards for Samurai of the Pale Curtain and Taj-Nar Swordsmith for more hate and another equipment tutor. Thanks again for the help! You're missing some of the best samurai, friend! You should get a set of Samurai of the Pale Curtain as well as a fourth Hand of Honor. They can get a lot of early damage in and outfight other creatures for most of the game. 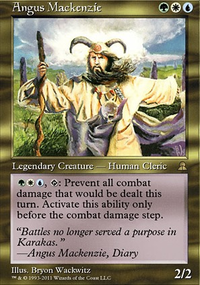 Konda's Hatamoto is another creature I'd strongly recommend four of - it's quite easy to have a legendary samurai in play cheaply. It's flat-out better than Inner-Chamber Guard, for instance. 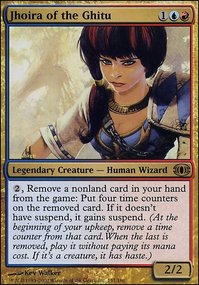 I'd also try to get a copy or two of Sensei Golden-Tail in there, as he's a two-mana legendary for the Hatamoto, and also gives you something to do with your mana later on. 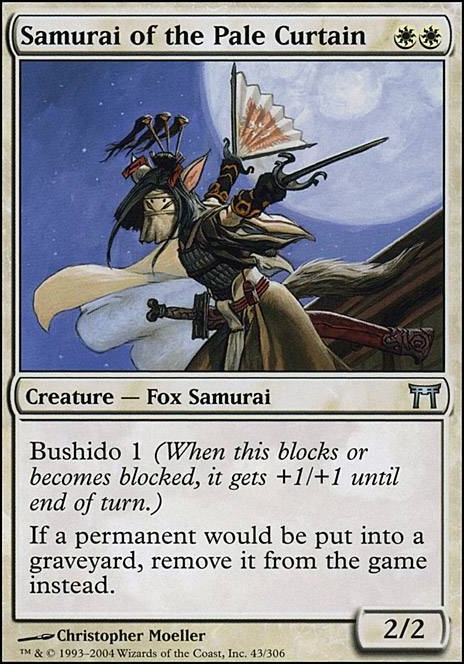 You can keep targeting the same creature with his ability to keep giving them more instances of bushido (having bushido 1 three times is identical to having bushido 3, for instance.) Maybe run a single Kentaro, the Smiling Cat, too - not because you'll need his ability, but it's worth making sure the Hatamoto is buffed! I dunno if Opal-Eye, Konda's Yojimbo is any good, but, um... he's cool. Lastly, Oathkeeper, Takeno's Daisho seems like an obvious inclusion. 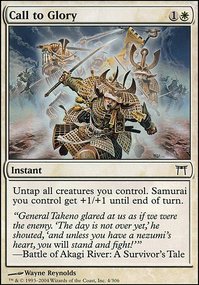 The +3 power will let your mid-sized creatures compete even in the late game, and since they're all samurai, even trades in combat will become favourable for you. Try it out!